Witarsa Winata’s sat limp as he was bathed, water soaking through his blue Demotratic Party suit. Standing next to him was Ujang Busthomi, a Muslim cleric who was reciting prayers from the Quran in a ritual locals call “ruqyah,” or best described as an exorcism. This was 2014—Winata’s wife Nur Aisyah Jamil had just lost the legislative race in West Java, and they had spent Rp 250 million (over $17,000 USD) from their personal savings for her campaign. “I’m disappointed with the people who took our money but didn’t vote for her,” Winata told Kompas. He explicitly admitted to bribing voters with cash here but as it turned out, he didn’t receive the support he thought his wife deserved. Winata made a visit to Busthomi before the General Elections Commission (KPU) released an official count. Just seeing the result of quick counts in many polling stations was enough to send him over the edge. At this point, he said he’d experienced strong headaches for two days. To him, only Busthomi could help. Busthomi didn’t have a degree in psychology or psychiatry. He didn’t even understand politics. But he was convinced that he could “heal” Winata, and other people like him. Exorcism has become increasingly popular in Indonesia for the past 10 years. It’s often seen as an alternative way of overcoming depression, especially for those who are reluctant to see a clinical therapist. The strong Islamic tradition in Indonesia makes people think that exorcism done by clerics is permissible by the religion. Exorcism is seen as unlike traditional healing, which is considered to be against religious teachings. Many people believe the practice is a solution to everything. It’s been used to break a hex on somebody, treat depression, and even “cure” people in the LGBTQ community. Winata’s story is not all that unique. Ahead of the presidential and legislative elections next Wednesday, the Ministry of Health has officially announced that as usual, it’s expecting a number of candidates to fall into post-election mental breakdown. At least one psychiatric hospital has even prepared beds specifically designated for these candidates. Indonesian political races are very crowded, meaning that this will likely continue to be a problem. In 2014 for example, roughly 200,000 people fought for the 19,699 available legislative seats. Ninety percent of those running lost the race, a lot of money, and for some, their sanity. But this doesn’t seem to discourage politicians and their parties. 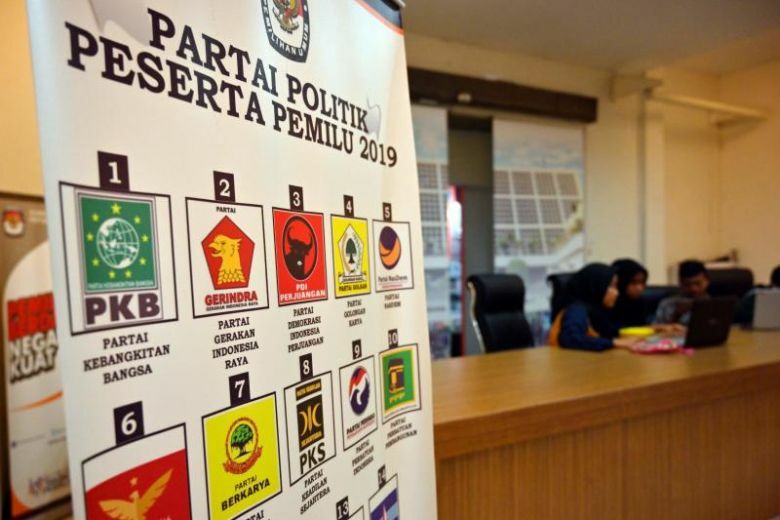 The Indonesian General Elections Committee (KPU) has required all candidates to undergo a mental health examination before running, a requirement that has been in place since 2014. However, with the skyrocketing cost of running for office, the risk of experiencing mental health issues is also on the rise. A lot is usually at stake when lesser-known politicians run for a legislative office—many of them deplete their savings, sell their properties and rack up hundreds of million rupiah in debt in the process. Based on a 2014 study by the Economic and Social Research Agency at the University of Indonesia (LPEM UI), running for a seat in the Regional Representative Council costs anywhere between Rp 250 to 500 million ($ 17,500 to 35,000 USD), most of which is spent on branding and bribes. The price tag increases up to threefold for a seat in the House of Representatives. For some, this is reasonable, but for most, it’s sky-high. The KPU has regulations in place to limit the amount that political parties donate to their candidates for a campaign. But so far, there is no limit to how much candidates can spend, meaning that they can spend a fortune to secure votes—and they continue to do exactly that. Mada Sukmajati, a political expert at Gadjah Mada University, in a detailed CNN Indonesia report, examined the various causes of the drastic rise in the cost of running for office in Indonesia. The biggest problem, he said, is that the pressure on funding a campaign falls on individual candidates, not on the political parties that nominate them in the first place. “The party’s role isn’t very visible,” he told CNN Indonesia. The mental breakdowns of some of these politicians have been pretty well documented by local media. There was a candidate who demanded people to return the materials from the prayer room built with his “donation”. Another stole a ballot box. And some went as far as committing suicide. The logos of some political parties seen at the central office of the General Elections Committee. Photo via AFP. VICE met up with Dedi Natadiningrat, an exorcist based in Cirebon, West Java, who has treated a number of politicians who lost the legislative races in 2009 and 2014. Though politicians are not his only clients, his service is usually on demand among the demographic during an election season. The standard procedure of an exorcism is simple, according to Dedi. He usually recites prayers while his palms touch his client. This “transfer” of the prayers into the client’s body often makes them nauseous. Dedi told VICE that the reaction from these politicians upon losing a race isn’t just caused by disappointment over losing a lot of money. Often, it’s the evil spirits inside them that causes emotional imbalance, he said. He believed that a person’s mental condition will become unstable when they have too many things on their mind, like losing their entire life’s worth of savings. In this state, it’s easy for an evil spirit to enter the body, making the politicians do “bad things,” he said, which is why exorcism is the only answer. Seeing the sheer number of people who will inevitably lose the election next week, it seems like people like Dedi could make serious cash every election. But he’s not one to wish another person a mental breakdown.